We wait all year for the summertime. Whether you live in an area that’s warm year-round or you’ve finally seen the last of the winter chill, the summer months are the absolute best for spending all of your time outdoors, day or night. With these tips for upgrading your backyard, you’ll barely want to come inside at all. 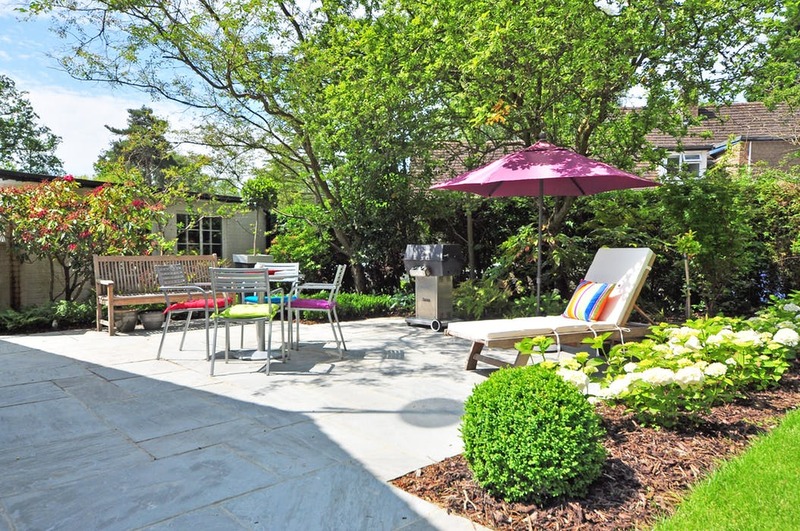 First things first, though: how to make updates to your backyard without causing damage. Upgrading your backyard the smart way. When working on your backyard project, you may need some protection against the condition of your yard, especially if it’s muddy. You can work in all conditions with bog mats, which are a great way to protect the ground (and you) during any type of construction. Now, let’s get on to the tips! Being able to eat outside is one of the best parts of the summer. If you put a fire pit in your backyard, you’ll be able to easily roast hot dogs or make S’mores, and then relax in the cool nighttime air next to a cozy fire. You can also put a grill in your backyard area or on the patio, then invite pals over for a cookout. Love the feeling of sand between your toes, but seldom make it to the actual beach? Create a small one in your own backyard. If you have an area that’s more dirt than grass, cover it with white sand and plant some greenery along the perimeter. Add a lounge or Adirondack chair and a small fire pit. Create an outdoor movie theater. If you have a projector, you can play movies on a large screen or against the flat side of a white or light colored structured, like a shed. Dangle twinkle lights from overhead branches and setup comfy chairs or thick mattresses on the ground for comfortable viewing. Don’t forget to bring out cushy pillows and blankets, too. If you’re going to be spending a lot of time outside, you’ll want comfortable furniture to relax on that will stand up to the elements. First, think about how many people you usually have outside. Is it just you and a friend, or do you like to entertain the whole neighborhood? Then, figure out what you guys do outside. Do you lounge with a glass of wine, or do you like to have full-scale sit-down dinners? Pick patio furniture that suits your needs. If you’re home a lot, you may want to escape work or responsibilities in your own backyard. Luckily, it’s easier than ever to create a peaceful outdoor haven. Hang a hammock between two sturdy trees or put a chair and footrest under a shady tree. If you don’t have natural shade in your backyard, consider adding a gazebo or a patio table with a large umbrella. Other ways to make the space naturally relaxing is to plant some flowers and have an area where you can keep a glass of water, the book you’re reading and speakers to play music. Creating the perfect outdoor space is fun, but you could end up accumulating a lot of stuff back there. Keep everything organized, accessible and out of sight with storage. There are a lot of savvy storage ideas, like patio furniture that doubles as cargo space.